This site has served our organization for many years, but we see the need to make some changes. Our new site will be available later this fall. We will continue to post newsletters here and you can also find us on Facebook at Nasledie Heritage Foundation to see updates. A new ministry started up several months ago with the girls that had graduated from the Pishana orphanage. They live in a dormitory in a small village an hour or more from Odessa. These girls study in a trade school and learn to live on their own without much guidance. Several volunteers travel to teach the girls life skills and to build relationships with them. They enjoy conversation, craft time, and the lessons. Pray for these girls as they learn how to care for themselves. We are excited to share with you about the soccer camp we organized at the end of March in the Andreevo Ivanovko orphanage during their spring break. The children were divided into three groups. In each group, we had skilled coaches who taught the kids how to pass the ball, how to kick the ball, and how to play as a team. During the camp, there were different topics that were discussed in small groups. To help them remember these biblical lessons, we played special themed games and at the end of the camp each child received a gift. This time in the orphanage helped the volunteers gain a greater understanding about what life for a child in the orphanage is like concerning their day to day life and routines. It was a great time to share with the children much needed attention and care. The volunteers were able to share openly with the children about God's love for them. Please pray that the volunteers would continue in visiting the children. The team from Yuzhniy invited children from the Zhovten orphanage to spend their spring break with families of our volunteers. It was a great time for everyone! 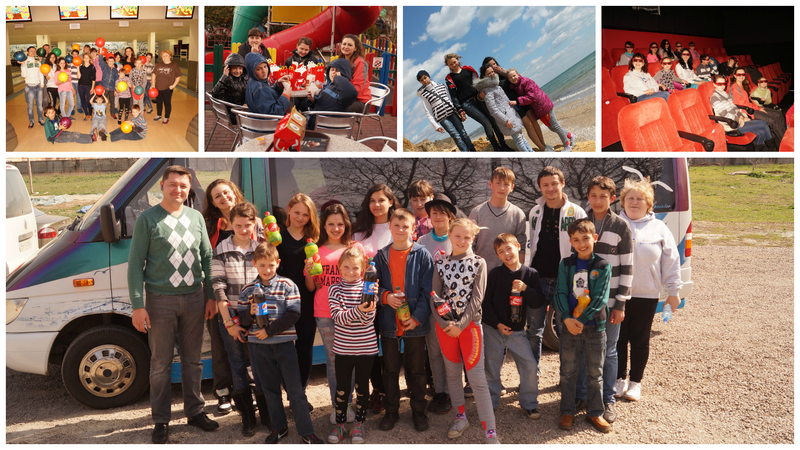 The volunteers spent six great days with fourteen children. They ate at McDonalds, went bowling, to the movie, and to sea. Some of the children got a new haircut, too. We also had them come to the JAM day center so they could play and spend more time outdoors. The best part was the time they spent in the homes of the families just being together, preparing and eating dinner together, and becoming closer. Praise God that the director allowed this time and that the children were able to build deeper relationships with the volunteers. 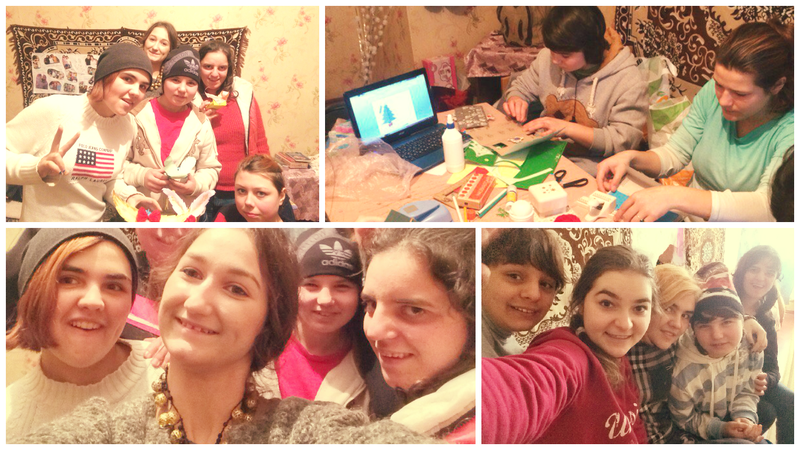 Dima continues to focus on working with the 5th graders in the Balta orphanage. This month there was the opportunity to once again share the Gospel through poster evangelism and the caregivers stayed in the room for this part, too. Please pray their lives would also be impacted. The children had requested some books and we were able to bring them some. They were happy to receive the books and as soon as they got them they started looking through them. We hope the read them and enjoy them. They sang a few songs with or newest volunteer, David, playing on the guitar. The lesson this time was about Easter and also about our dreams and goals. There was discussion about sharing our dreams, hopes, and goals with the Lord and that He can help us see those things come to fruition. The children all received notebooks and treats at the end of the meeting. Dima has been using this poster evangelism method for almost a year. He shared this," I reminded them about the previous lesson and they remembered most of it. I can surely say that the posters through which we share with them biblical stories have great impact on them, as they almost always remember nearly everything I had shared with them in previous lessons." 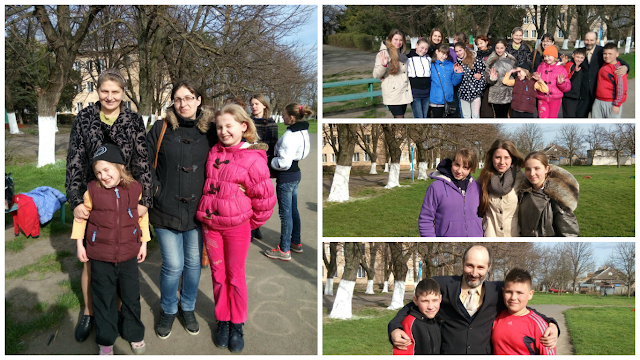 Dima also reports that some of the children started coming to the youth meeting at the local church. This is great news. Please support us in prayer. Today the team visited the children in the Karolina Bugaz orphanage. First each mentor had a personal time with their child. We are excited about this program and that the team invests time in the children individually. Then they played fun games with all children. It was a great time and no one wanted to party ways. The team wanted to stay and it wasn't easy when the children don’t want to let go and are teary as the team drives away. It’s so hard to say goodbye! We are glad that this team takes care of these children and we praise God for the open door in this orphanage.